Vedas are the fountain head of Indian Philosophy, religion and Culture. These were preserved by recitation generation after generation. The six Vedangas are of assistance in the comprehensions of the import of Vedas. No systematic and complete Bhasya was however, written until a team of scholars led by Sayana prepared. Yaska has stated that there are three levels of the import of Vedas viz.,i) Yajnika i.e. , ritualistic ii ) Aitihasika i.e., Mythilogical and iii) Adhyatmika i.e., Philosophical Sayana has given us the Yajnika i.e. , ritualistic interpretation. Brihaddevata etc., works give us the mythological import. 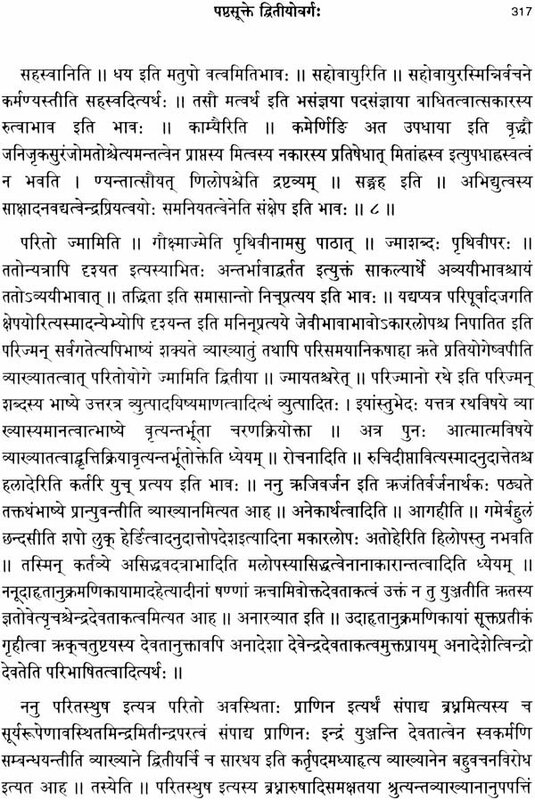 However, philosophical interpretation of the Rgveda hymns was not tried by any scholars until Sri Anandatirtha ( Sri Madhvacharya) wrote his Rgbhasya. About two dozen hymns of Rgbhasya Samhita such as Nasadiya hymn, Vamadeva hymn, and Visvakarma hymn are philosophical in nature. Some modern Scholars have worked out the philosophical import of these hymns. However, they have missed the point that all hymns contain philosophical import as they were not aware of Sri Madhvacharya Bhasya which was earlier even than Sayana's Bhasya. This was first notice by the modern Sage Aurobindo. His close associate Sri Kapali Sastry's wrote a Bhasya on Rgveda fully utilizing Sri Madhvacharya's approach and Sri Madhva's approach is that the former considers Surya as the central deity while the latter considers Visnu as the central deity. It is a matter of the interpretation of Visnu hymns of Rgveda. In any case both are agreed that all the Rgveda hymns have philosophical meaning. The Rgbhasya of Sri Madhvacharya gives both philosophical and ritualistic meanings of forty Rgveda hymns by way of illustration. It is also lays down the guide lines to interpret the entire Samhita in two ways. One meanings is obtained by Paramamukhya Vrtti i.e., indepth meaning, and the other by Mukhyavritti i.e., the usual primary meaning. This brings out the richness of Rgvedic thought. There are dozen commentaries on Rgbhasya. The commentaries of Sri Jayathirtha and Sri Raghavendratirtha are however most important. These two are therefore included in this edition. The other commentaries on Sri Jayatirtha's commentary. Among these four are included n this edition. The others commentaries are sub-commentaries on Sri Jayatirtha's commentary. Among these four are included in this edition. The others will be edited in due course. Even with this limitation this edition extends to 1,300 pages. It is therefore, issued in two volumes. This is the first of the two volumes. Prof. Pandurangi, the Hon. Director of Dvaita Vedanta Foundation has prepared this edition with the help of the manuscripts procured from Sri Uttaradhi Matha, Sri Satyadhyana Vidyapeetha and his own collection. We thank him for his services. We also thank Vagartha Printonies for printing the volume neatly. In the introduction to the First Volume a detailed discussion of the following topics is made. 1. Three dimensions of the import of Rgvedic hymns viz., yajnika, Aitihasika and Adhyatmika i.e., Ritualistic, Mythological and Philosophical. 2. The need of the comprehension of the meaning of Vedic hymns as explained in Nirukta, Jaimini Sutras and in Sayana bhasya bhumika. 3. The tradition of philosophical interpretation stated in Atharvana Upanisad and fully developed by Sri Madhvacharya. 4. 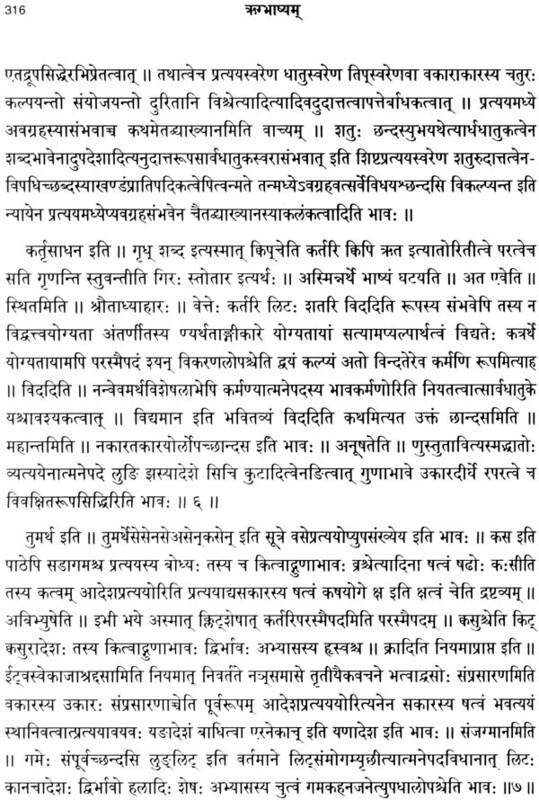 A summary of the points made in the Upodghata portion of Sri Madhvacharya's Rgbhasya , Sri Jayatirtha's Tika and the Mantrartha Manjari of Sri Raghavendratirtha in respect of the philosophical meaning of Rgveda and the methodology to comprehend it. 5. A brief not on the life and works of the commentators. It is sufficient if the attention of the readers is drawn to that introduction. In the first volume, Chapter I of Rgbhasya containing 19 hymns was given. These hymns mostly related to the two deities i.e., Agni and Indra. Majority of these were of Visvamitra and in Gayatri mantra. In this Second Volume, Chapter II and III containing 21 hymns are given. These relate to Vayu, Varuna, Savita, Marut and Asvinau. These are of Medhatithi Kanva, Ajigarta, Sunah syapa, and Angirasa. These are in Trstup, Brhati Anustup etc, metres. 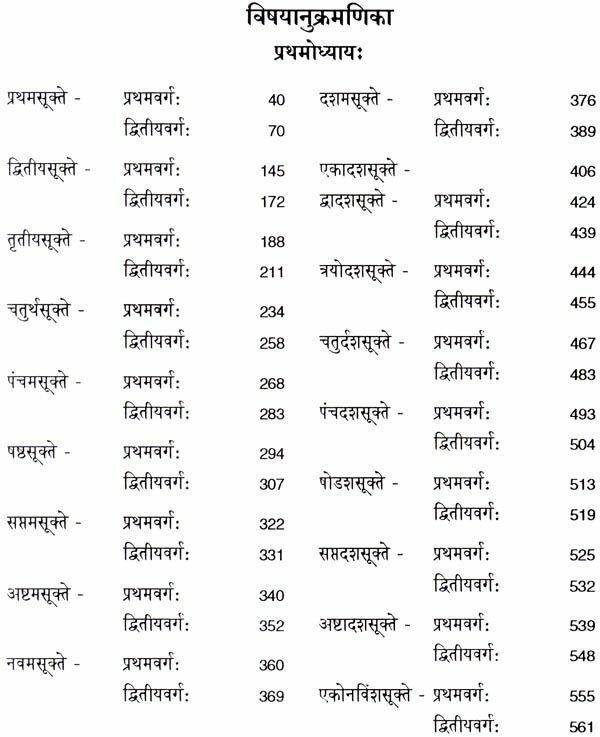 The forty hymns selected for explaining the philosophical meaning of Rgveda are quite representative in respect of Rsi, Devata and Chandas. The philosophical meaning of the very names of these deities, the adjectives given to these deities and other related expressions is fully brought out by the commentators. The Bhasya suggests these meanings and the commentators elaborate with appropriate grammatical and etymological explanations. These explanations provide good grounding in Grammar and skill in interpretation. 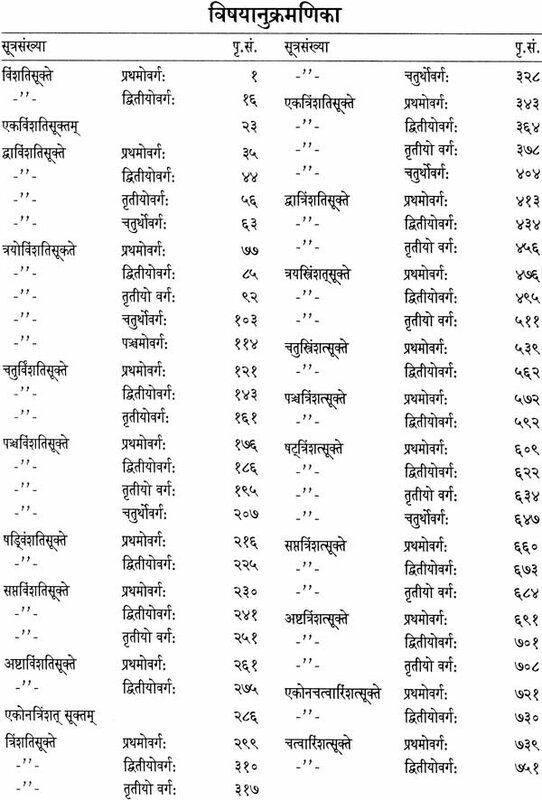 A large number of Panini's sutras, the observations in Patanjali's Bhasya and commentaries like Kasika are quoted. A good number of lexicons are quoted. Some of these are quite old and rarely quoted by others. In this way the Bhasya and the commentaries not only give us philosophical insight but also enrich our knowledge of grammar and etymology. This aspect will be of considerable interest to the Research Scholars. I take this opportunity to thank Sri. N. Narasimha Rau, Chairman of Dvaita Vedanta Foundation, for entrusting the work of editing this valuable work to me. I record my appreciation of the assistance given to me by Vidwan Ramakanta Joshi , Krishnacharya Upadhyaya and H.P. Nagaraja. 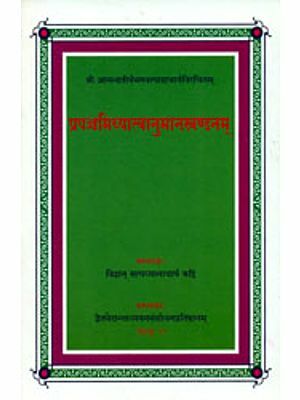 The first volume of Rgbhasya with five commentaries covered the first chapter, containing 19 hymns. Thus, the Second Volume contains II and III chapters consisting of 21 hymns. The five commentaries included in the first volume are included in this volume also. As stated in the preface to the First Volume, the Rgbhasya of Sri Anandathirtha gives the philosophical interpretations of Rgbhasya hymns. The commentaries further explain the philosophical implications of the Vedic expressions with appropriate grammatical and etymological explanations. These commentators belong to different centuries. The later commentators do not repeat the points already made by the earlier ones but make fresh points. These give deeper insight into the philosophical thought of Rgveda. The manuscripts procured for the first volume have been utilized for this volume also. These were procured from Sri Uttaradi Matha and Sri Satyadhyana Vidyapeetha. Prof. K. T. Pandurangi has prepared this edition with the help of these manuscripts. We thank him for his services. These two volumes of Rgbhasya have been published utilizing the grant provided by the Ministry of Human Resources Development under the Plan Scheme for development of Sanskrit. We thank the Ministry for providing the grant. We thank Vagartha Printonics for printing the volume neatly.